There are many factors that contribute to the success of any venture. These factors are well known to, and regularly applied by the most successful businesses. Some of them are easily ignored by many small businesses, hence, they never grow beyond a certain small point. One of such factors is quality customer service; note, it's not just any form of customer service. Quality customer service is important to the survival and flourishing of any business. Continue reading to find out 5 ways it helps improve your small business. There’s the popular saying that the customer is always right. While I do not agree with it, I do believe the other saying that the customer is always the customer and is the boss. Customers are the livewire of business. They are very important and must be treated right. For example, I recently read someone’s complaints about a certain airline company. The airline company (name withheld) experienced flight troubles which were understandable. However, the manner in which the passengers of that particular flight were treated was offensive to some of them. Furthermore, the compensation they offered was rather meagerly in comparison with the amount of money and time wasted by those customers. After reading that complaint, I have already blacklisted that airline company in my mind. You may not know this, but the manner in which you treat one customer will go a long way in speaking for your business. It’s important to treat customers specially and correctly, if not, you’ll lose more than just money. You’ll lose present and potential customers and your business will lose credibility in their eyes. Hence, the need to highlight the importance of customer service. In the long term, your business is preserved. Except you’re not looking to stay in business for a long time, you’ll neglect the philosophy of treating your customers right. Nevertheless if you are looking to be in business for years to come, you’ll treat your customers right. Quality customer service is an easy way of converting customers into ambassadors of your brand and business without coercing them. As important as celebrity endorsements and advertising are, they aren’t more important than endorsements from people who have patronized your business and fell in love with it. Celebrities are usually paid to endorse brands, customers who are converted into ambassadors aren’t. They simply experience your business, like it and become loyal to you. This is one of Apple’s secrets that many businesses have neglected. Apple customers voluntarily become ambassadors and can vouch for their ‘dear Apple’ any day, any time. Another thing that quality customer service does to your business is that it improves your image and enhances your reputation. Image, here, is simply the manner in which you represent your business while reputation refers to the understanding and impression people have about you. If you consistently treat your customers right, you’ll be doing yourself a lot of good as these people will hold you in positive esteem and see you in a good light. It creates a culture for your business. I’ve been asked the question before if I think customer service is a department or a philosophy and I say it is a philosophy. This philosophy is what crafts out the department but must run through every other department of the business. For SMEs and retail stores who do not have as many departments and segmentations as the large businesses, they must realize that customer service is a philosophy that should shape the culture of business. The final importance I will share is that no business can peak without quality customer service. It shows that you have a vision for your business and you must understand that a culture of quality customer service means you have one less problem to solve. Hence, you’re making progress. Constantly improving customer service, to me, is a good sign of growth in business. 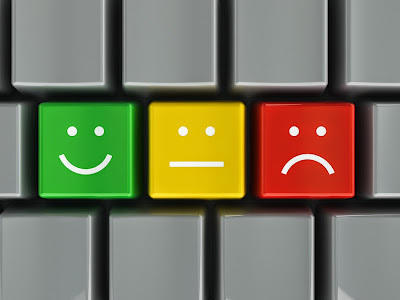 We've seen five vital ways customer service will improve your business. Are there other points you have that support this? Do share them with us. Our community is incomplete without your contributions. Don't forget to leave your email address in the Hellobar at the top of your screen and we'll provide you with more great articles and retail tips regularly. Could not agree more with you here! It would be unfair if i don't share my experience to the whole world. I had made promise to tell the whole wide-world how this happened. That's why i'm on it right now and today I would let everyone know there are significant real powers in spell casting as marvelspelltemple@gmail. com has assured me by bringing joy and happiness into my marriage just in 2days i came in contact with him marvelspelltemple@gmail. com i never hoped or believed in any of these stuff until i felt depressed and i realized i'm about to loose everything.. i required for help from this good for nothing fake spell casters and nothing happened, before i discovered this great spell man, who cast a love spell for me and he assured me that i will get my husband back just in 48 hours after the spell has been cast. 48 hours later, my cell phone rang, and to my greatest surprise, it was my husband who hasn't called me for 4 months and few days, and made an apology for the broken heart, my husband said to me, he is ready to come back home to be the good loving husband he was before. Dr Muna opened his eyes to picture how much we have loved each other and what we have gone through in the past before that gold digger came to stole my husband from me. Writing this post right now, i'm the most happiest woman on earth. We are living a happy life and our love is now stronger than how it were. For this reasons i promised to testify to the universe. i recommend this spiritual doctor for the elegant work he did for me. in every situation you are undergoing right now Dr Muna is the Answer, and as a true testifier i assure you that he will definitely do the same you too.